TAI YUE ELECTRIC CO., LTD. is the leading manufacturer, supplier and exporter of Retainer Clip in Taiwan. In order to assure the quality of our range, we manufacture this utilizing high grade material, which we procure from certified vendors. Our range of product is in a great demand in domestic markets because of its superior quality and optimum performance. Our range is in high demand by our client spread across the international market and can be availed at industry leading prices. 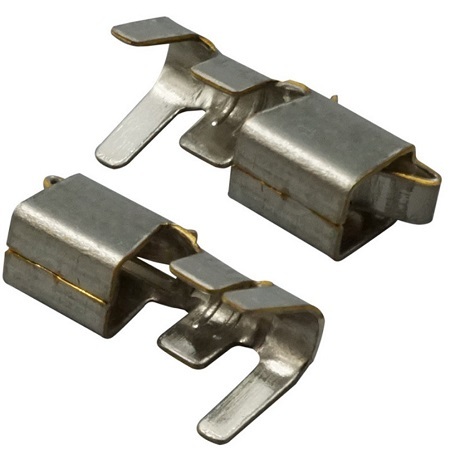 Conn clip type is a kind of clip that suits with a connector which designed with ditch, the Conn clip meet the connector, and the clip's head insert into the car body or match the compound connector; it can be a firmed function and avoid moving inside the car. There are different shapes and specifics could be chosen, according to the dimension size and structures at the match side. There are many kind of merchandise offering in Conn clip products, according to the connector size and structure, even in the ditch's thickness or length.